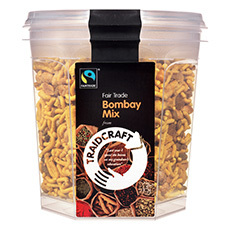 One of our most popular lines is the authentic and delicious "Bombay Mix" (or - "Mumbai Mix" if you want to be politically correct according to EU directive AP/1x.zz ) . The price is just £2.85 for a bollywood-sized tub. Nicely spicy, and also contains fat juicy sultanas - just as it would do in Mumbai. 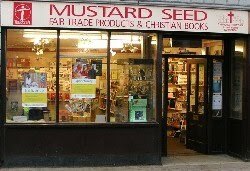 Yep - it's the real stuff alright - unlike some of the cheaper alternatives that just contain insects and straw - and we have it on good authority that Danny Boyle was constantly munching exactly this mixture when directing Slumdog . No wonder it got so many Oscars. It's a real winner - in a fully resealable tub - especially handy when you want to offer really delicious nibbles to your guests over the Christmas period - rather than insects & straw. P.S. In Myanmar it's called "Sarkalay Chee", which literally means Sparrows' Droppings.